One of the main outcomes of the Rio+20 Conference was the agreement by member States to launch a process to develop a set of Sustainable Development Goals (SDGs), which will build upon the Millennium Development Goals and converge with the post 2015 development agenda (click here for information on different work streams). It was decided to establish an “inclusive and transparent intergovernmental process open to all stakeholders, with a view to developing global sustainable development goals to be agreed by the General Assembly“. Be based on Agenda 21 and the Johannesburg Plan of Implementation. Fully respect all the Rio Principles. Be consistent with international law. Build upon commitments already made. 2.c. adopt measures to ensure the proper functioning of food commodity markets and their derivatives, and facilitate timely access to market information, including on food reserves, in order to help limit extreme food price volatility. 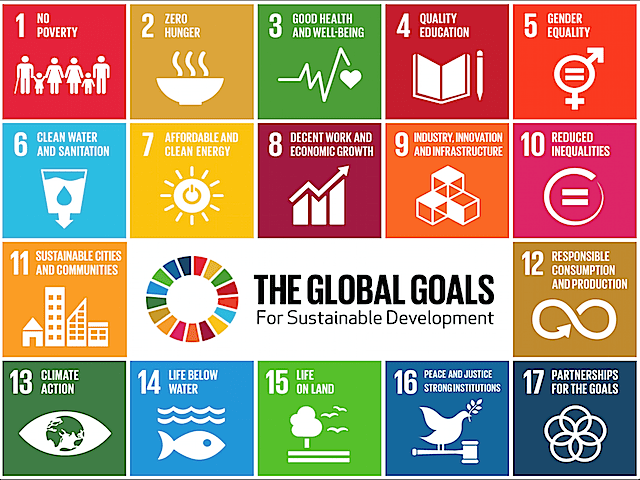 Thank you for this in-depth presentation of the Sustainable Development Goals. I very much appreciate your effort to build awareness and engage global educators in their realization. Recently, the International Education and Resource Network (iEARN) (http://us.iearn.org) has acted similarly (https://iearnusa.wordpress.com) and decided to align all of its 250+ online collaborative projects to the SDGs as an effort to engage students in them as well. In September 2015 in New York City, the Global Campaign for Education-US (http://gce-us.org) is holding a side-event, bringing together major educational organizations to share how they are adapting or creating new programs to highlight and align with the SDGs. Your article is contributing to this awareness-building. Thanks!